Greeting from Indy the home of the NCAA and boy all the signs are up for March Madness. We even put new street signs up with the names from schools, such as The Nittany Lions Blvd. It's going to be a fun month. Canon…The feedback on the Mark II has been unbelievable…the demand will be great so get on the list now. Email me with EOS-1D Mk II in the subject line and include your contact info and CPS number in the email and I will queue you up…All of Canon should be in stock and ready to ship. Sorry, no word yet on when the new lenses will start shipping. Nikon … Nothing but good news … the D2H is in stock and ready to ship with a special Sports Shooter price for March only, SB800 and 10.5s are also in stock. 200-400s have started to ship so get on the list now. Lexar specials are in while supplies last: 512/40x-$139.00, 1 Gb/40x-249.00, 2 Gb/40x-$519.00. Firewire readers are at $44.00. I have the Delkin Cardbus32 in stock and the MAC drivers are on line at Delkin.com. I also have the Delkin Firewire reader in for $39.97. Tokina has some rebates running on their pro lenses: 300/2.8-$200.00, 80-200/2.8-$60.00, 28-80/2.8-$50.00, 28-70/2.8SV-$30.00 Rebates are mail-in and run through 6-30-04. 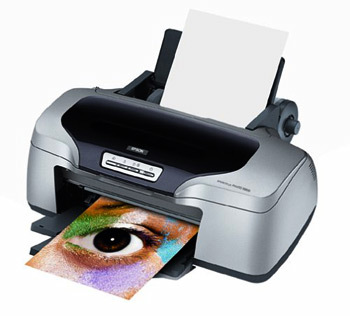 Epson R800 is in stock and boy is it awesome. With the addition of red, blue and gloss optimizer ink cartridges and the world's first 1.5 Pico liter droplets it is truly an amazing machine. Get sigma lenses prior to the upcoming price increase. The 120-300/2.8 is $1899.00…while supplies last…will be $2299.00 when current inventory runs out. Other great lens deals as well. PhaseOne Capture1 DSLR SE version is now in stock for both MAC and WIN…$199.00. Of course the full version is also available. Newswear.com has a new waterproof chest vest, they say it is hurricane proof. I am taking preorders at $119.00, regular price will be $139.97. We have jumped into Monaco color calibration with both feet. We have special pricing for the month of March and there are mail-in rebates from Monaco running through the end of April. Call us for prices and rebates. I have an exceptional price on a brand spanking new EPSON 7600 ultrachrome. Call me it won't last long. I have the Hitachi 2 Gb Microdrives in stock at SS special price of $309.00. 4 Gbs to come in late March at SS price of $449.00, get on the list today. AquaTech DV-3 splash housing for the Canon EOS-1D body style is now shipping. The housing itself is $3495.00 and ports range from $350.00-$550.00. Also from AquaTech, the CG-5 underwater housing for the Canon PowerShot G-3 and G-5 is on super sale at $499.00. Well that is all the news that's fit to print and remember to be certain to make it fun!